Once dispersed, the product is left to dry for optimal odor elimination. 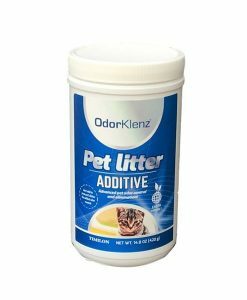 OdorKlenz is gentle enough on fibers to leave in place and robust enough to get out the toughest of pet odors. Safe enough to leave in place, it won’t harm your carpet, and best of all – is effective. Innovative OdorKlenz Subfloor Treatment Kit. Ten ready to use packets (covers 12 inches in diameter. Syringe for injecting product below carpet pad. Using our revolutionary kit, it is no longer necessary to rip up and replace carpet; we developed this kit specifically for subfloor penetration. Utilizing OdorKlenz’s revolutionary “absorptive neutralization technology, the product can be prepared directly prior to use. No machine rental, no harsh fragrances, and chemicals that only mask the odor and camouflage the stains. Using our do-it-yourself friendly kit, equipped with ten ready-to -use packets, only add tap water. The freshly prepared product is then injected below the carpet and pad, using the syringe included in the kit. 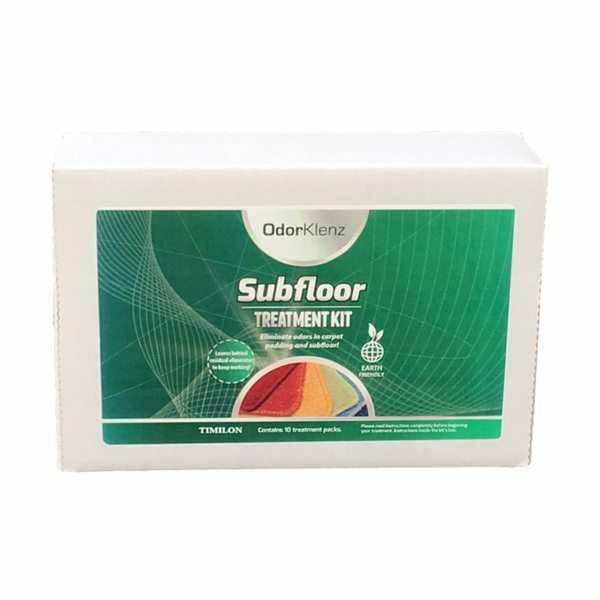 The incredible technology behind OdorKlenz Subfloor Treatment kit utilizes a patented earth mineral technology that effectively neutralizes chemical odors. 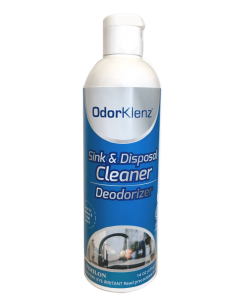 Unlike harsh chemicals that may use bleach or other corrosive enzymes, which can leave bleach stains, discolorations, and can be washed out, OdorKlenz’s earth mineral technology quickly and effectively. The stains and odors are neutralized almost immediately after application Once dispersed, the product is left to dry for optimal odor elimination. 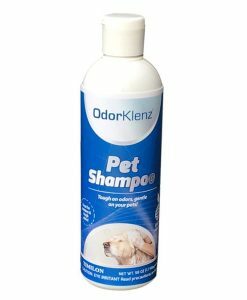 OdorKlenz is gentle enough on fibers to leave in place and robust enough to get out the toughest of pet odor stains. The area is safe for Fluffy to return to since no harsh chemicals are used. Life is messy and smelly. Your home, with all the hustle and bustle of everyday life, often takes a beating. The subfloor, the bedrock of the home, absorbs all the dings, dents, spills, and traffic from daily life. Often, stains and smells sink into the subfloor, only to be revealed through the warm sunshine coming in through the window, or that strange smell that lingers after steam cleaning your carpet. The stains may be gone, but the smell remains. It looks like Fluffy, your beloved pet, has marked their territory, and that territory is all over your living room floor. There are several products out there that promise to remove that pesky odor smell in just one use, but, inevitably, the smell returns; the empty promise of just one use. Different products employ different chemicals and various methods that may not penetrate to the subfloor. Some of the most difficult areas to treat and remove pet odor smells and stains are when the stains and odor have reached the subfloor- and promptly been absorbed. That’s why we developed the innovative OdorKlenz Subfloor Treatment Kit. Ten ready to use packets (covers 12 inches in diameter). OdorKlenz, the product is safe enough to leave in place, it won’t harm your carpet, and best of all – is effective. This is the only thing that has worked for my carpet!!! I couldn’t get the smell out with anything else! Does this come with everything I need to remove the odors? We recommend you clean and removing any chemical products from the area you will be treating. This typically means a vacuum or water extractor will be needed. You will also likely need some towels for the process. Will this work on all subfloors? Generally yes, but there are many different flooring types and surfaces. The product is typically used in situations where a source odor has leaked or passed through carpet and/or padding and soaked into a porous wood or concrete subfloor. By injecting our product below those first layers, it can come into better contact with the lowest layer and be left in place to neutralize odors. It is best to wait for the product, and surrounding carpet and pad, to fully dry before making an assessment of the success of the treatment. Will this work if I do not know where the source of the odor is? Potentially. Our product needs to come into contact with the odor source. If the source is not treated fully, the odor may remain. What is the difference between this and the OdorKlenz Source Odor Eliminator? These are very similar products and are often used together. The OdorKlenz Source Odor Elimination is used for the top carpet layer and the OdorKlenz Subfloor Kit is used for the lower layers. So the difference is in the application. What odors will this product remove? A variety of odors including urine, food odors, and many others. 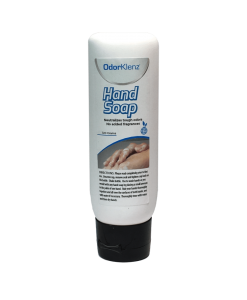 The key is getting our OdorKlenz products into contact with the source. Can this be used on old urine stains and odors? The product is for odor elimination, not stain removal.